The SMVRR was one of the last railroads on the West Coast to run main line steam locomotives. 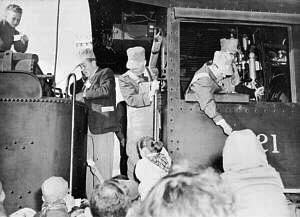 On February 21, 1962, the last run of steam engine 21, with Captain Hancock at the throttle and Walt Disney in the cab, occurred. The SMVRR had purchased its first diesel-electric locomotives, the GE 70-tonners, in 1948. The GE 70-tonners proved to be excellent work horses for the SMVRR and they eventually displaced the steam locomotives. Captain Hancock passed away in 1965. Two Hancock family trusts took over the SMVRR: the Marian Mullen Trust, controlled by Hancock's third wife Marian Hancock; and the Rosemary Trust, the descendants of Rosemary, Hancock's only daughter. Through the years many of the loose carload merchandise business went to trucking and by the late 1970s the fresh vegetable market was gone. Oil produced in the valley eventually left the rails. In August 1993, Holly Sugar closed down the sugar plant in Betteravia. This resulted in the loss of 90% of the railroad's remaining traffic. The Hancock Trusts eventually concentrated on their more lucrative real estate holdings and the railroad continued to lose its customer base. Friends of the Santa Maria Valley Railroad. 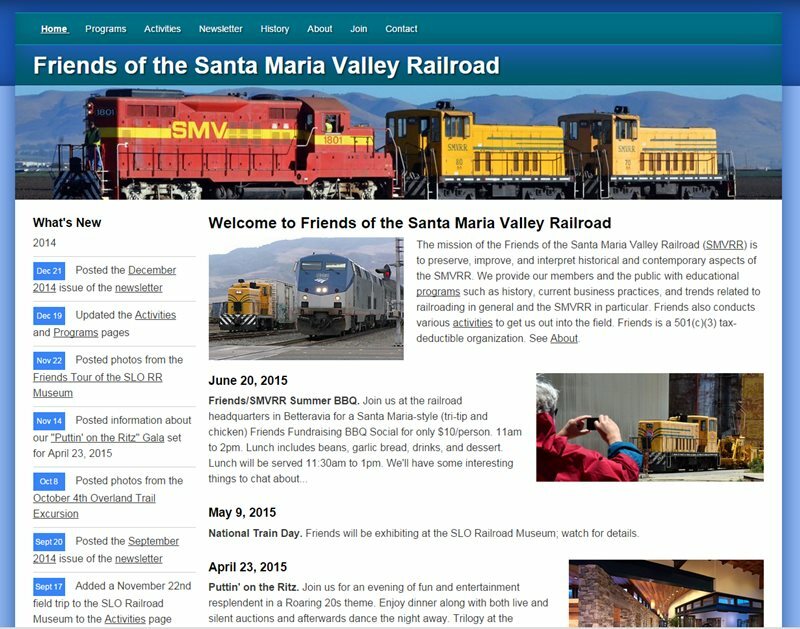 The Friends of the Santa Maria Valley Railroad (Friends-SMVRR.org) was formed in 2007 to preserve the history of the Santa Maria Valley Railroad and to educate its members on the current railroad industry. Tours and lectures cover the current railroad business, railroad safety, as well as the history of the railroad. 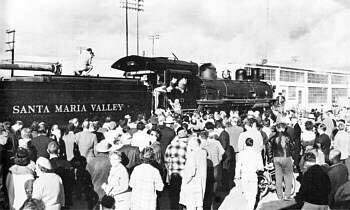 On May 13, 2017, the San Luis Obispo Railroad Museum opened an exhibit entitled, "Two Centuries...One Dream", the story of the Santa Maria Valley Railroad.